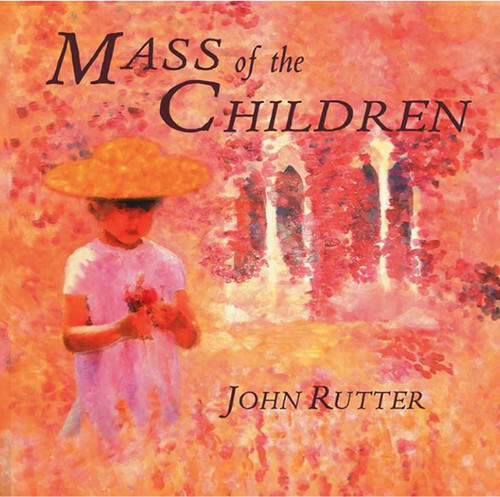 Written in late 2002, in time for a Carnegie Hall performance, performed here by the renowned Cambridge Singers, Cantate Youth Choir and London Sinfonia, and conducted by the composer, the five movements of Rutter's "Mass," are a delight. Following are the lovely "Look at the World," "To every thing there is a season," the joyous "Wings of the Morning" and "A Clare Benediction." Then we have the uplifting "I will sing with the spirit," the flute-accompanied Musica Dei donum," "I my Best-Beloved's am," and finally "Come down, O Love divine." This is beautifully-performed music that fills us with joy and hope, the hope of the children.